Mr. Russell entered on duty with the FBI as a computer specialist in the Miami Field Office in 1999, and as a Special Agent assigned to the Boston Field office in 2002. Since reporting to Boston, Mr. Russell has investigated Internet Fraud, Intellectual Property crimes, and complex Criminal and National Security Computer Intrusion matters. In 2013 Mr. Russell reported as the acting Cyber ALAT for the FBI’s London office. 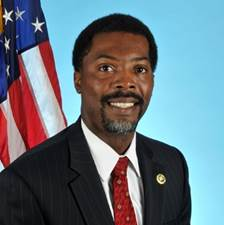 In 2014 Mr. Russell served as a Supervisory Special Agent (SSA) in the Asia Cyber Operations Unit at FBI Headquarters, Cyber Division. In 2016 Mr. Russell was appointed as the SSA for the Boston Criminal Cyber squad, with responsibilities for criminal cyber matters in Rhode Island, Massachusetts, New Hampshire, and Maine.